I love Noah Centineo – like so So SO much. He is a gem. The internet boyfriend we didn’t know we needed. Here’s the problem, he is better than the projects he’s being given. For example. The Perfect Date was AWFUL. Now that the weekend is over, and I know you have ALL had a chance to watch this movie – let’s rip into it. It’s a rom-com where our lead guy – Noah Centenio – pretends to be your fake boyfriend or chaperone. No – it’s not To All The Boys I’ve Loved Before – although Cosmo thinks so (and they are not 100% wrong). This movie is based on a book called The Stand-In, written by Steve Bloom in 2016. From what I can gather from reviews the book is way better than the movie… but the book still sucked. 1 – The acting was wonderful. Both Laura Marano and Camila Mendes were fantastic. They also deserve better projects – but regardless, I am a major fan and I liked seeing these women on screen. I want more of them in future romcoms. Obviously, we all love Centenio. This boy tries really hard to take all of these terrible movies seriously and we love him for it. 2 – The talented people in production design crushed it – the sets and costumes were both amazing. Think about the costume montages, the ‘Instagram-able’ dances, and the gorgeous houses. Straight up, it was a pretty movie. Which is key for the romcom grene. 3 – There were a few cute moments on ‘fake dates’ – specifically, I adored the walk and talk Noah had with the older lady. 4 – I also need to give a shoutout to my favourite people – the editors. I’ve always loved post-production and the team behind The Perfect Date nailed it… making this movie a TIGHT one hour, 29 minutes. My main issue is the script. The A-Story – Brooks as a romantic lead- was so unoriginal, uninteresting, and overall uninspiring. If I like a rom-com, I’ll rewatch it over and over again because I cannot stop thinking about it. But in this case, I just wanted it to end – because I knew how it was going to end. Brooks Rattigan was always going to fall for Celia Lieberman and be disappointed by Shelby. The B-Story – Brooks grows distant from his BFF Murph – is unnecessary. I’m over it. I really couldn’t care less about this storyline. Even the C-Story – Brooks and his dad have issues – is not great. It’s not developed, it feels a bit manipulative of the audience (just there to make us feel ‘sorry’ for Brooks). I would have rathered this take the space of the B-Story and been further developed. 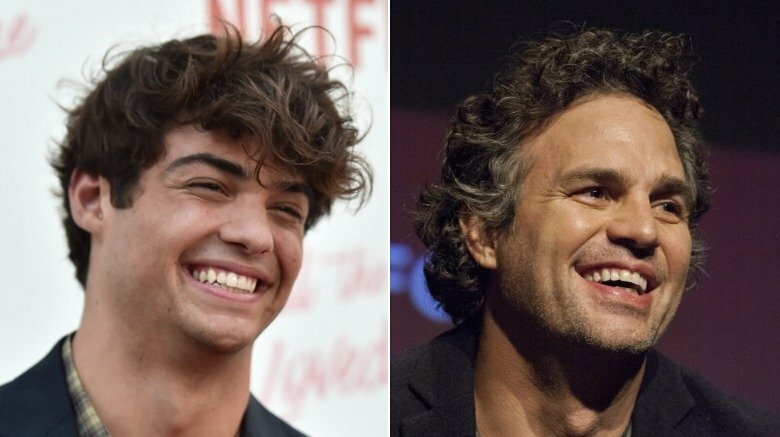 ALSO – I would have wanted Mark Ruffalo to play his dad. Many critics had problems with the depth of this movie – everything felt extremely surface level and I agree with them. I also want to know more about the ladies taking him on dates. I also want to know who the real Brooks is – which I don’t think we ever get. There was just so many opportunities for interesting moments – but this movie just breezes right into the next date, next moment, next scene. Beyond the overarching story – the dialogue needed immense improvement. This movie had nothing. All weekend different friends were texting me ridiculous quotes from this movie – and not in a good way. You pick projects based off a script – how could have someone in his camp read this and approved his involvement? None of us are watching these movies because of the plot – we are all watching them exclusively for him at this point, so I really hope they are giving him a hefty paycheck. Previous rom-com men have had their share fair of terrible movies, so I hold out hope that Noah will have his own Matthew McConaughey McConaissance. He’s going to be in the new Charlie’s Angels, he’s in some movie called The Diary, and he’s coming back as Peter Kavinsky inTo All the Boys I’ve Loved Before. I just want Noah to make better choices you know? If you liked the idea of a ‘Stand-In’ and want to learn more about women who hire them… my FAVOURITE rom-com show of last year was by far The Hook Up Plan – I am obsessed and need more people to love it. French girls hanging out with French boys in Paris – it’s all very fun, has a great soundtrack, the fashion is amazing, and of course, Paris is beautiful. Grab a bottle of French Wine, a pizza and settle in. It’s also on Netflix. Watch it with subtitles.